With guns blazing and a steely gaze, Gunslingers know no fear! Gunslingers are the perfect class to play if you want to pick off foes from a distance! - Note that you should reset mission attempts once a day to quickly unlock or farm needed Angel Stones, especially the passive ones like Withdraw and Take Aim. Quick Shot and Fire Blaster are also highly recommended.You can also buy them from the Demon Shop or Magic Shop if available. 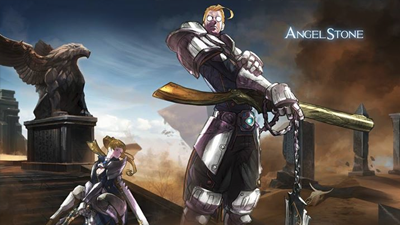 - Free Angel Stones will be given upon reaching certain Lvls, rewards from Demon Raid Stages, and Battle Zone's Boss drop (special Angel Stone). - Angel Stones that are redeemed from Daily Logins like Active: Nerve Gas (August Login Reward, added in Demon Raid Shop) will not be included here to make this guide friendly to all new players. Experiment with them as you go. - All Main Skills must be maxed until the next ACT's suggested skill set. - Go for the shortest path when you reach every 10th boss stage, return once you get stronger. Use revive if you want. - Plastic Explosive > Thin Ice = To trigger Thin Ice's Blood damage to slowed enemies. - Viper Vault > Quick Shot = To trigger Quick Shot's Poison extra damage. - For beginners, refer to this 2 basic combos to learn how to do extra damages and synergies. The extra damage will trigger only when Viper Vault's "Poison damage per X seconds" is applied. During that X seconds, any skill with "additional X Poison damage on poisoned enemy" will get bonus damage, like Quick Shot . - Active: Plastic Explosive, Thin Ice, Explosion Round, and Fire Blaster. - Plastic Explosive > Explosion Round = To trigger additional burn damage to burnt enemy. - Plastic Explosive > Fire Blaster = To trigger stun on burnt enemy. - Plastic Explosive > Thin Ice = To trigger Thin Ice's Blood damage to slowed enemies. The blood damage here will only deal 50%, so use this more as crowd control or to cancel certain monster skills. - Blazing Vitality > Explosion Round/Fire Blaster = Use Skills once Blazing Vitality's "fire damage for X seconds" kicks in. How Will I Know If Blazing Vitality is Active? - During normal attack, always check Explosion Round's and Fire Blaster's Icons, once you see them shining, it's time to use them to get extra damages. - Passive: Predator's Advantage = Until you get Blazing Vitality (no need to upgrade). - Musket Shot > Quick Shot = Your Boss Killer, spam it while your Summon tanks for you. While on cooldown, move around to avoid some damages. - Plastic Explosive > Thin Ice = Mainly for crowd controlling, and to help your summon survive longer. - Venom Dash > Quick Shot = Use skill if shining. - Active: Viper Vault = You main escape mechanism, pretty useful for Party Dungeon bosses with very wide skill range at higher levels. Not so useful as damage source, but good to have as situational skill. Nice to have for PVP, keep spamming to avoid some dangerous skills. - Active: Fire Blaster = Can also replace Musket Shot. - Passive: Blazing Vitality = Until you get Take Aim. - Active: Synthetic Poison = Mainly used to trigger Poisoned, Bleeding, Burnt, and/or Cursed effect. The increase per upgrade is really poor, don't bother leveling (unless they change it). - Active: Scatter Shot = Range is melee to mid, it's damages are fixed, and doesn't synergies with Dissolution or Synthetic Poison. Still a great skill to have for Airship's "AoE only" stages or Goblin Raids. An all around skill for PvE or PVP skill sets, packs a lot of damages but very risky due to it's long animation, use wisely. - Active: Dissolution = Stone Titan's drop from the Battle Zone. Can be an all around skill if you need to fill up slots. Synergies with Synthetic Poison but relies on luck. - Kinda hard to upgrade though if you are not into PVPs. - You can actually create a lot of skill sets here, from Pure to Hybrid, feel free to experiment. Although the above build is also good for ACT 4, I prefer the Hybrid Build below because of it's high base damages and DPS. Good all around skill set even after ACT 4, just replace PE with anything you want like Viper Vault/Thin Ice for PVP, or Musket Shot for Demon Raids (Property Guide: Poison). - Keep firing, don't wait for your Fire Blaster and Quick Shot to shine, because they already have high base damages. Spam Reload for it's bonus damage, and once it is about to complete it's cooldown, spam skills then Reload to replenish "Focus or Resources". - Reload + Pistolier's Focus = nice blood damages while doing normal attacks. - Passive: Venom Dash = Until you get Pistolier's Focus. Yes, because of it's decent chance to proc Blood damages for ACT 4. Quick Shot has high base damage anyway, so it's ok. You can use this later or for Demon Raids though, Property Guide: Poison. *From here on, leveling up will get slower. Grind until you reach Lvl 38+, and finish the ACT. *Continue upgrading your passives and needed active skills. For your Summon, a nicely upgraded Carrion Chomper is still ok until Lvl 50+, replace if you like. Angel Stones that are redeemed from Daily Logins like Active: Nerve Gas (August Login Reward, added in Demon Raid Shop) will not be included here to make this guide friendly to all new players. Experiment with them as you go. - Active: Hook Kick = Might be ok on certain areas. - Active: Curse Shot = Can also be a nice alternative single skill for Property Guide: Curse stages. - If this is you first time hitting this stage, better go for the shortest path first, then come back once you are stronger. - Don't kill the goblin from the start, go straight to the boss. - Once the boss charges up, or even before it does it's thing, click on the Golden Goblin (Red Dot on Map), and defeat it. Once defeated, you'll get a temporary shield, it's you best defense against those charged attacks. - Quick Shot's Low CD and some normal attacks should be enough to defeat the Goblin. 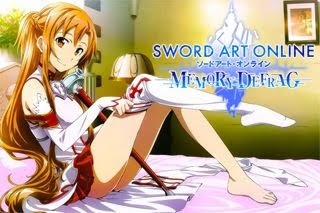 - Spam your skills after getting the shield to inflict major damages. - TIP: Once you see the Red dot on your mini-map the second time, start targeting that Goblin, by the time you defeat it, your shield will be up for the next charged attack. - Should be easy, once you get the pattern. If you reached Lvl 40+ you probably know now what you are doing, just follow the patterns and tips above and continue. Feel free to form your own skill sets depending on the situation you are in. Experiment and have fun! 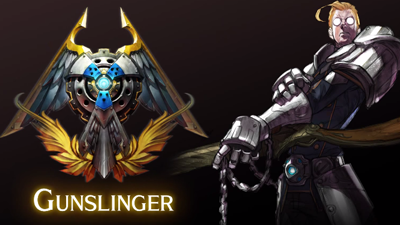 - Gunslingers Party Role: To kill Bosses!, they are very deadly in 1 on 1 battles due to their high single attack combo skills and low cool-downs. Not so sturdy but when played correctly, their mobility will save them. - Active: Viper Vault = You main escape mechanism, pretty useful for Party Dungeon bosses with very wide skill range at higher levels. Not so useful as damage source, but good to have as situational skill like for dodging powerful attacks, just time it well. - You can also get Skill Options from Legendary Items that will enhance your preferred Skills! - Reduce Resource Consumption or Max Resource +: These stats will help you cast more skills, nice for long boss fights, but if you have Reload, and know how to time it well, then maybe you can skip this. - Attack Speed: For faster normal attacks, higher DPS. - Reduce Skill Cooldown: Nice stat to increase DPS. - Extra Damages: Nice addition to your arsenal, increases DPS. - Resistances and Reductions are very common, can be nice for certain mission stages to increase survivability. - Critical Chance: Chance to get higher damages, might be better at higher lvls together with your Take Aim passive skill. - Dodge: Chance to avoid non-skill damages, might be better at higher lvls.